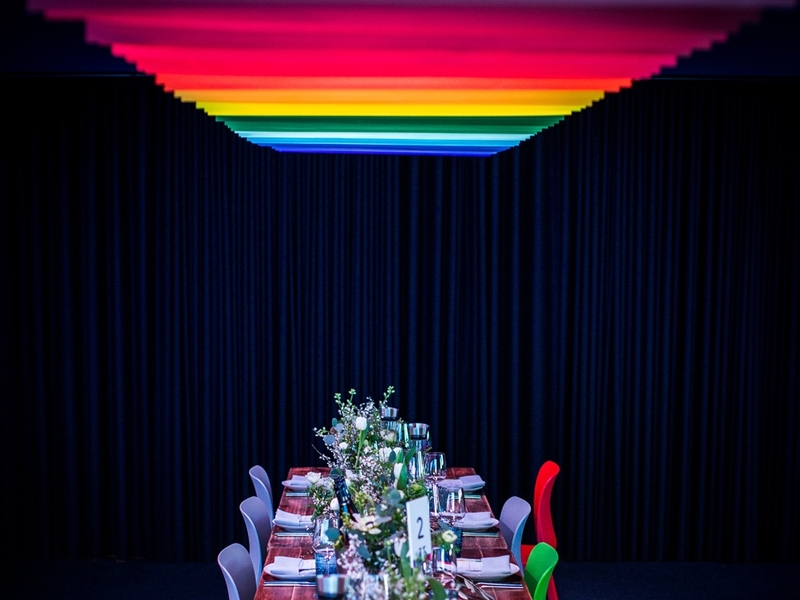 Working with Set Live, Propability produced an overhead feature as a decorative element for a VIP supper event at the new Google Offices in Kings Cross. The simple solution consisted of a series of vibrant hanging frames produced from ‘off-the-shelf’ coloured card in brilliant colours that provided an aesthetic which really delivered impact to the scene. 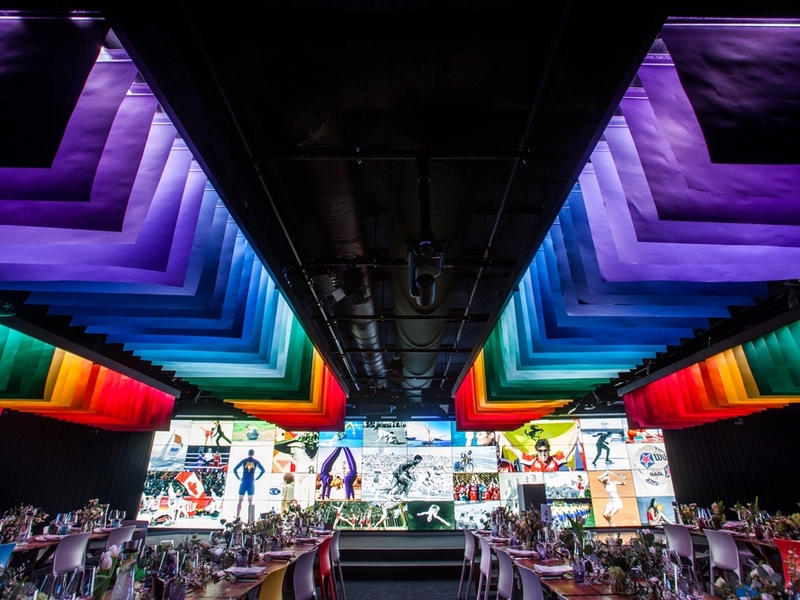 As a clever, low cost solution, high visual appeal and a striking optical display was achieved: the series of six hanging rainbows of colour created interest, depth of field across the space and an appealing quality to the room.